Owen's love of flying began in 1974. Owen flew in the family operation for several years in Jonesville, Louisiana, 9 years for UTAVA, a French company in Cameroon, Africa where he was chief pilot spraying bananas. 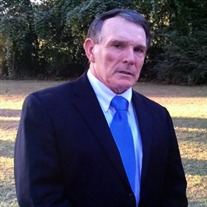 In 2011 Owen came back to the United States to work for Sturdivant Brothers Flying Service in Marks, Mississippi. Owen had flown a total of 29,943 plus hours. On March 19, 2017, about 1600 central daylight time, an Air Tractor AT-602, N2049D,collided with trees and terrain near Minter City, Mississippi. The commercial pilot was fatally injured, and the airplane was destroyed by impact and postcrash fire. The airplane was owned and was being operated by Sturdivant Brothers Flying Service, Inc., as a Title 14 Code of Federal Regulations (CFR) Part 137 aerial application flight. Visual meteorological conditions prevailed at the time of the accident and no flight plan was filed for the local flight, which originated about 30 minutes earlier from the company airstrip in Glendora, Mississippi. The pilot departed the airstrip with each wing fuel tank filled to about 3/4 capacity and the hopper containing 375 gallons of mixed water and chemicals. After takeoff, the pilot proceeded toward the intended spray field. Although there were no eyewitnesses to the accident, an individual familiar with aerial application operations who lived adjacent to the intended application field reported hearing an airplane fly over his house. He noted that the airplane sounded fine at that time, but about 10 to 15 seconds later, he heard a "pop" sound followed by an explosion. He went outside, noted the fire, and a friend called 911. He then drove to the site and noted damage to trees and parts of the airplane were found away from the main wreckage. The fire department arrived about 20 minutes later and extinguished the fire, which at that time was mostly confined to the cockpit area. Inspection of the intended spray field revealed evidence of "burning" of weeds consistent with some application of the contents of the hopper; however, the extent of the application could not be determined. The pilot, age 68, held a commercial pilot certificate with a rating for airplane single-engine land. He held a Federal Aviation Administration (FAA) second-class medical certificate with a limitation to have available glasses for near vision, issued January 16, 2017. He reported 29,943 total hours of flight experience on the application for his last medical certificate. His last flight review in accordance with 14 CFR Part 61.56 occurred on January 30, 2017. The pilot was hired by the operator in March 2011. A review of his logbook revealed that about the time he was hired, he had accrued a total time of about 24,613 hours. His title at the time of the accident was Chief Supervisor/Pilot. The pilot's sister reported that she spoke with her brother the day before the accident, and during that call, he reported having a cold. The accident airplane was manufactured in 2012 by Air Tractor, Inc., and was designated serial number 602-1219. It was powered by a Pratt & Whitney Canada PT6A-60AG engine rated at 1,050 shaft horsepower for takeoff, and equipped with a Hartzell HC-B5MP-3C/M10876ANS propeller. Review of the maintenance records revealed that the airplane's last annual inspection was performed on November 8, 2016, at an airplane total time of 2,752 hours. The airplane was equipped with an AgJunction Satloc G4 GPS receiver capable of recording and retaining data; however, due to heat damage to the two internal memory cards, no data could be extracted from the device. At 1553, a surface observation at Greenville Mid-Delta Airport (GLH), Greenville, Mississippi, located about 18 nautical miles south-southwest of the accident site, reported calm wind, 10 miles visibility with clear skies, temperature and dew point 26°C and 8°C, respectively, and an altimeter setting of 30.21 inches of mercury. The accident site was located among trees at the southern portion of an open field, about 760 ft east of the eastern edge of the 75-acre field the pilot intended to spray. Further examination of the accident site revealed damage to trees between 15 and 20 ft above ground level (agl) on a magnetic heading about 280°. Airplane debris was located on the ground among the trees and in the open field north of the energy path between the first tree contact and the main wreckage, which was located about 282 ft and 280° from the first tree contact location. Damage to trees at decreasing heights was noted along the energy path. The main wreckage had an odor of Jet A fuel. Components that were located farthest east from the fuselage included portions of the left wingtip, outboard end of the left main spar, leading edge of the left wing with semi-circular leading edge damage, outboard portion of the left aileron with outboard boom hanger bracket, section of left wing leading edge with pitot tube, and a section of the leading edge with semi-circular wrapping. The semi-circular impression on the leading edge of the left wing was correlated with a standing tree that exhibited impact damage. The wing damage and the lack of damage to the ground at the corresponding area of the right wingtip was consistent with a wings-level attitude at the time of tree impact. Examination of the airplane revealed extensive heat damage to the fuselage, cockpit, and sections of both wings that were not separated during the accident sequence. Both wings remained secured at the center splice, and all main spar attach bolts were sheared at the fuselage attach point but remained trapped. The inboard attach angle of the left wing was deformed, and both attach angles of the right wing were deformed. The left wing main spar was "S" shaped and the spar was fractured about 5 ft 10 inches outboard of the outboard wing splice. The aft spar of the left wing remained connected at the fuselage, but the spar was separated from the attach plate. The aft spar was fractured 6 ft 3 inches from the inboard section. The full span of the left wing leading edge was separated and/or consumed by fire. The left aileron trim tab was pulled from the aileron, but the pushrod remained connected. The pushrod was separated from the aileron trim tab actuator; therefore, the aileron trim position could not be determined. Examination of the right wing revealed that the aft spar remained attached, but the spar was heat damaged. The aft spar was identified to the outboard portion of the fuel tank, and then the outer portion at the wingtip. The aluminum portions of the main spar was heat damaged 5 ft 7 inches outboard of the spar splice. The cockpit sustained extensive fire damage; however, the occupiable space of the cockpit was not compromised. The right lower longeron was fractured, and the left side top door frame and left forward door post were cut during recovery. The pilot's seat remained fully attached and was equipped with shoulder harness airbags, which exhibited extensive heat damage. The control stick was not fractured, and the emergency dump handle was in the locked (non-dumping) position. The power, condition, and propeller controls were full aft, consistent with being pulled during separation of the engine. The flap actuator was separated and located on the ground near the cockpit area and was extended 4 threads, which equated to about 5° of flap deflection/extension. All primary and secondary flight control surfaces and their respective counterweights were accounted for. Flight control system continuity was confirmed for roll, pitch, yaw, and right aileron droop system though heat damage to pushrods and overload failure of cables and pushrods was noted. Examination of the left aileron droop system revealed separation of both pushrods at the aileron droop idler. The attaching hardware was not located. The rod end bearing cage of both rod ends was deformed in the aft direction consistent with the bolt diameter, and the idler bellcrank was deformed. The drooping arm on the aileron bellcrank was deformed, but both rods remained attached. The rest of the drooping system remained connected. Examination of the gatebox shutoff system revealed that the shutoff valve was in the open (normal) position. The spray valve was destroyed; therefore, its position could not be determined. The engine remained attached at all 4 engine mount points, but was separated from the airframe and found near the engine firewall. The engine was not equipped with a manual fuel control unit (FCU) override system. The gearbox with attached propeller and power section were separated from the engine and were located along the energy path. The start control and power control cables remained attached and the propeller control remained attached to the governor, but the propeller governor cable was fractured. Examination of the engine revealed no evidence of preimpact failure or malfunction. The FCU and propeller governor were retained and examined at the manufacturer's facility with FAA oversight. Damage to both components precluded operational testing. Disassembly examination of the FCU and propeller governor revealed no evidence of preimpact failure or malfunction. Tree limbs and/or trunks that exhibited smooth angular cuts on one or both ends were retained and examined. Several limbs of various diameters, up-to and including 7-inches exhibited smooth cuts on one or both ends and gray color transfer on the cut surface consistent with propeller contact. One propeller blade was rotated in its clamp toward the low pitch position; the blade counterweight made a corresponding impact signature in the spinner at a counterweight angle of about 23°, which corresponded to blade angle of about 11°. The feather stop screws were not damaged and the internal adjacent marks on the piston from the feather stops screws exhibited normal operating signatures, indicating that the propeller was not feathered at impact. There was no evidence of preimpact failure or malfunction of the propeller. The Mississippi State Medical Examiner, Pearl, Mississippi, performed a postmortem examination of the pilot. No soot aspiration was noted in multiple sections of lung and bronchus. The cause of death was reported as "asphyxia of undetermined etiology." The FAA Bioaeronautical Sciences Research Laboratory, Oklahoma City, Oklahoma, performed forensic toxicological testing on specimens from the pilot. According to the toxicology report, no carbon monoxide was detected in the cardiac blood and no volatiles were detected in vitreous. Unquantified amounts of dextromethorphan, dextrorphan (metabolite of dextromethorphan), and pseudoephedrine were detected in cardiac blood and urine. An unquantified amount of doxylamine was detected in the urine specimen, and 0.145 ug/ml of the same drug was detected in cardiac blood. Acetaminophen (12.07 ug/ml) was detected in urine. Dextromethorphan is a cough suppressant available in many over-the-counter cough and cold preparations. Pseudoephedrine is a decongestant commonly marketed with the name Sudafed. Products containing this drug are only available "behind the counter" but do not require a prescription. Acetaminophen is an analgesic and fever reducer available over-the-counter and commonly marketed with the name Tylenol. These drugs are not considered impairing in usual doses. Doxylamine is a first-generation sedating antihistamine available over-the-counter in a number of products intended to treat colds, allergies, and insomnia. Doxylamine causes central nervous system depression and carries the warning, "May cause central nervous system depression, which may impair physical or mental abilities; patients must be cautioned about performing tasks which require mental alertness (eg, operating machinery or driving)." The usual blood levels thought to be associated with effects from this drug are between 0.050 and 0.150 ug/ml. Doxylamine undergoes post mortem redistribution; central levels may be elevated above peripheral or antemortem levels by an average of about 2.5 times. According to a representative of the airplane manufacturer, agricultural turn distances from the spray field for turbine-powered airplanes vary significantly depending on airplane type, spraying speed, pilot technique, wind speed, wind direction, aircraft weight, and local obstacles. 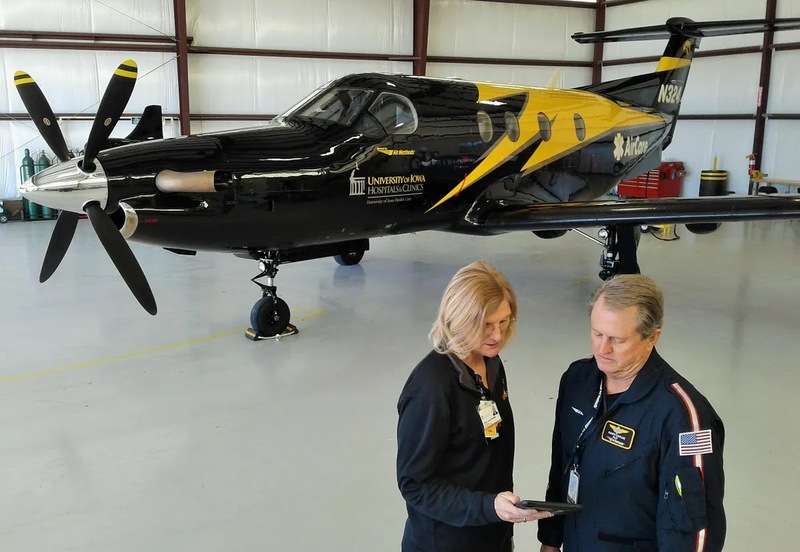 However, they have found that with their turbine-powered airplanes, pilots will typically make their turns within 1/4 to 1/2 mile from the edge of the field.